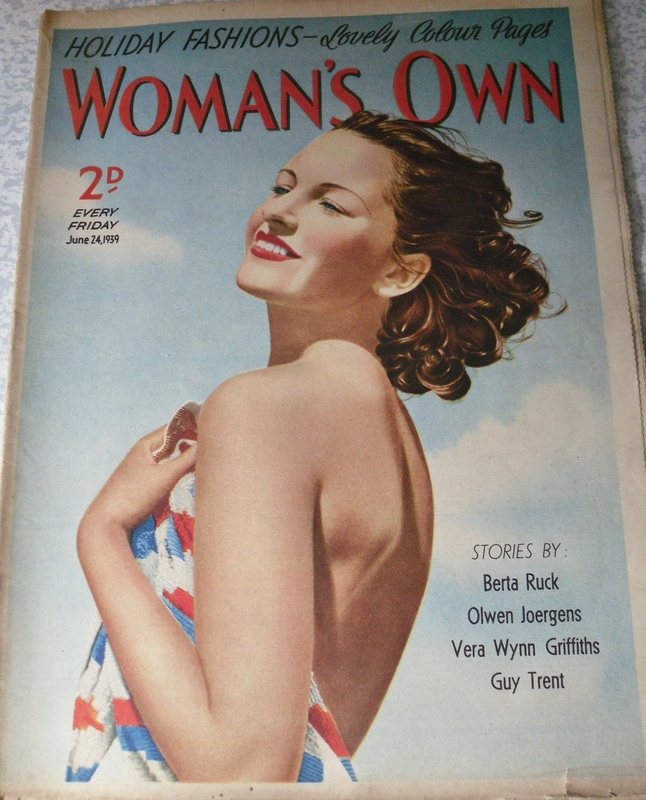 I treated myself to 12, yes 12, vintage Woman’s Own magazines last week. They date from as early as 1939 with the latest being 1957. 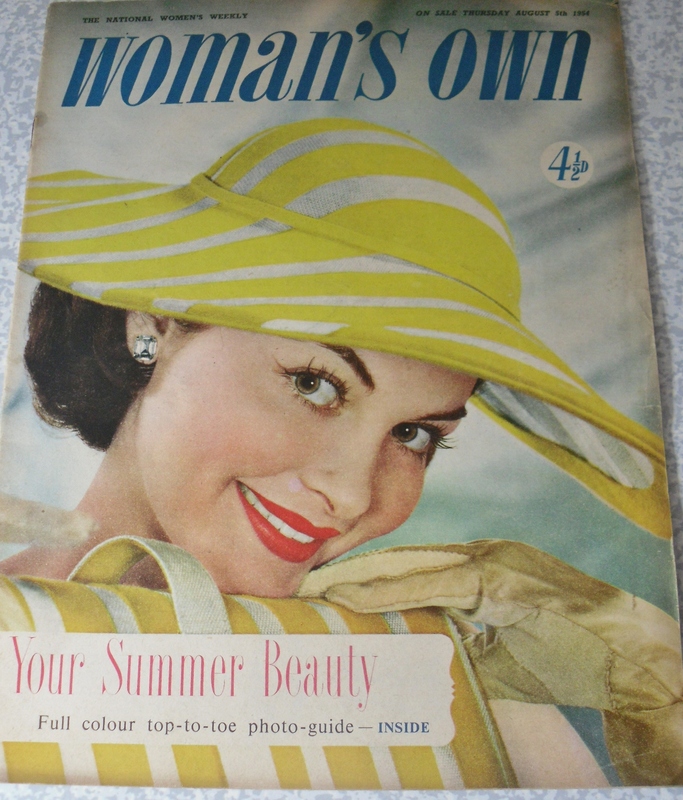 They are great inspiration for my magazine articles for Vintage Life magazine….sometimes a tiny piece, even an advert will trigger an idea off in my mind. For those who regularly follow Your Vintage Blog, you will know we are totally renovating our 1920s home (read Our Patterned Palace for reference)….and the conversation cropped up about pictures for the walls. I love the 1950s furniture and design, Adam loves the 1960s therefore selecting original prints that we both agree on is quite hard. Also, finding them is a challenge in itself. The plan is to frame the covers from these magazines so I chose them wisely. These are some of my favourites. The lady on the red telephone dates amazingly from March 1945. Anyone who has read my articles on vintage phones will know in the 40s and 50s everyone had the choice of black or black..so a bright red one is so rare. The colour matches her lippy perfectly. This will hang in our hall above the vintage telephone table and our 1950s Ericofon phone…which is…green! 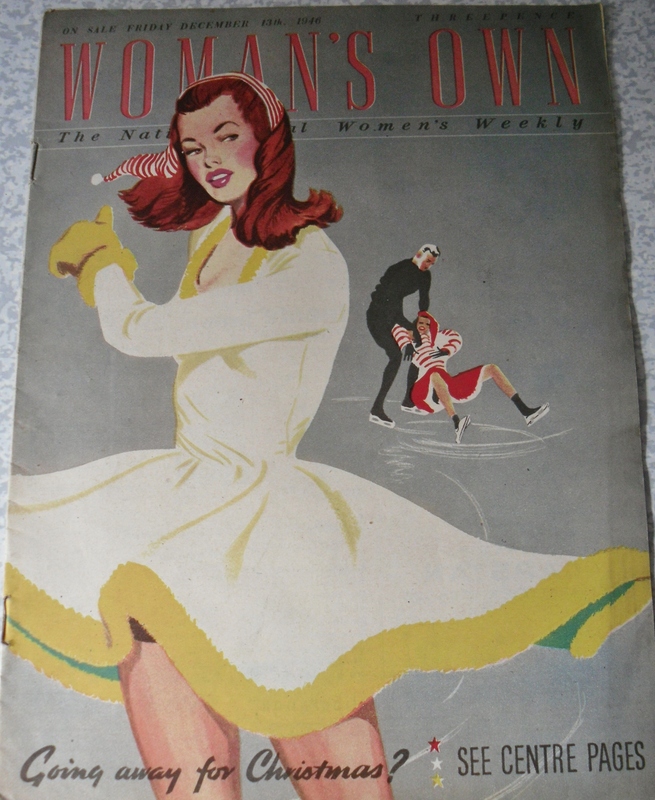 Now this one is stunning with quite a lot of flesh on show for….1939! Her skin is flawless and the red/white/blue towel is patriotic. The next one will go in our bedroom. We have just hung 1950s wallpaper (soon to be blogged) which will offset this image perfectly. A lady is being tied into her tight bodice dress in an eye-catching emerald colour. This dates from November 1948 and totally reflects Christian Dior’s New Look range launched in 1947 with tiny waists and full skirts. I love her shocking pink gloves! 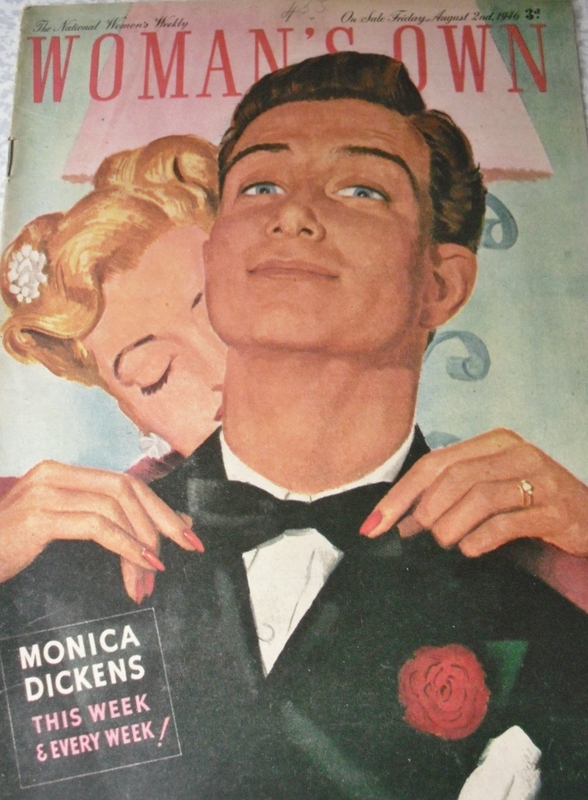 The next dates from 1954 and is a Christmas edition. The model is called Audrey Dalton and I love her tassle edged hood. 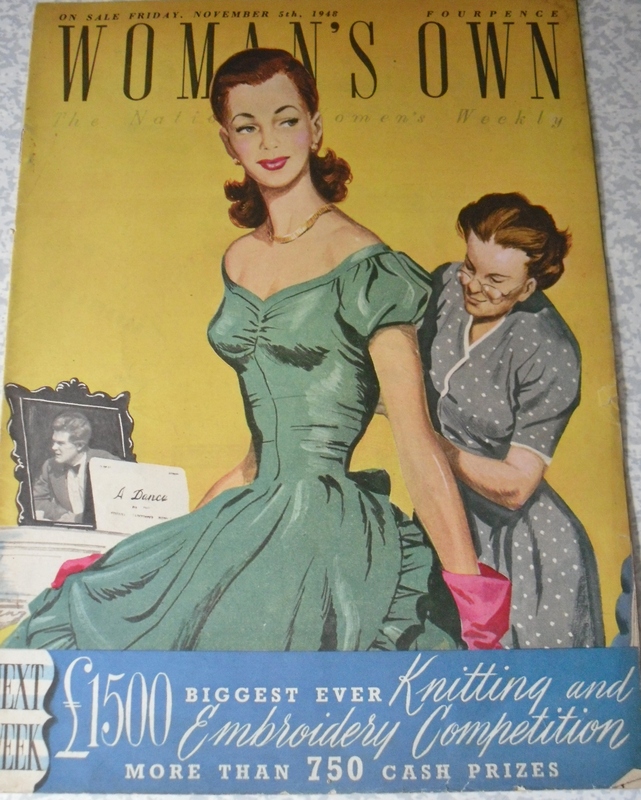 I chose 2 more from the 1940s which are a lot smaller than the later and earlier ones. A dapper gent with a lady playing with his bow tie dates from August 1946. 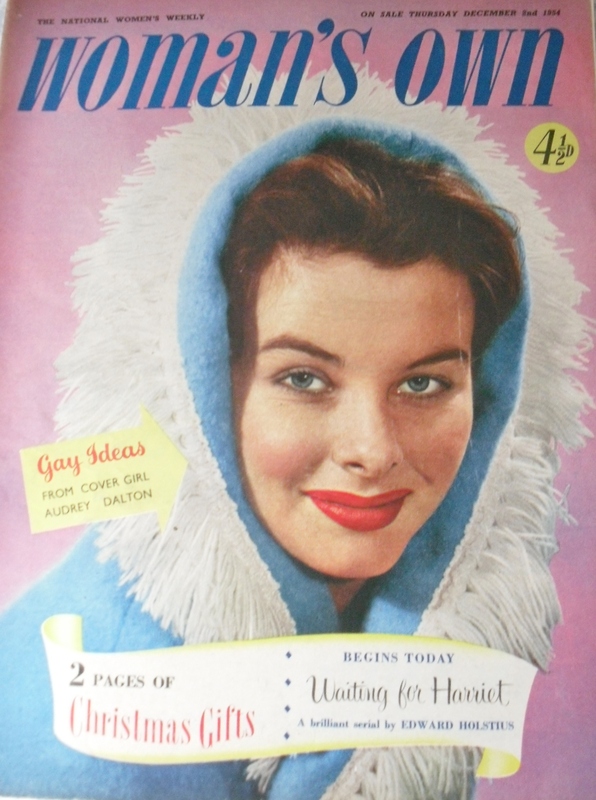 I love the Winter Wonderland feel to this one from December 1946. Her dress is edged in yellow fur with matching gloves..she looks gorgeous. I chose this one for the headline on the front “Good Homes on a Low Budget”. 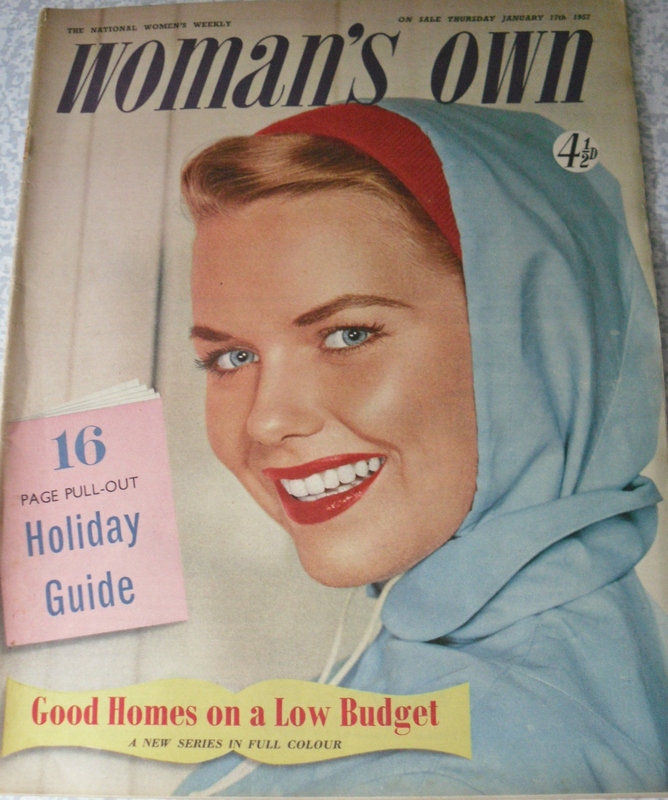 Dating from 1957 this will be great for my articles….as well as the 16 page pull out Holiday Guide. The model is wearing what looks like a hooded kagoul..maybe summers back then were are wet as now! 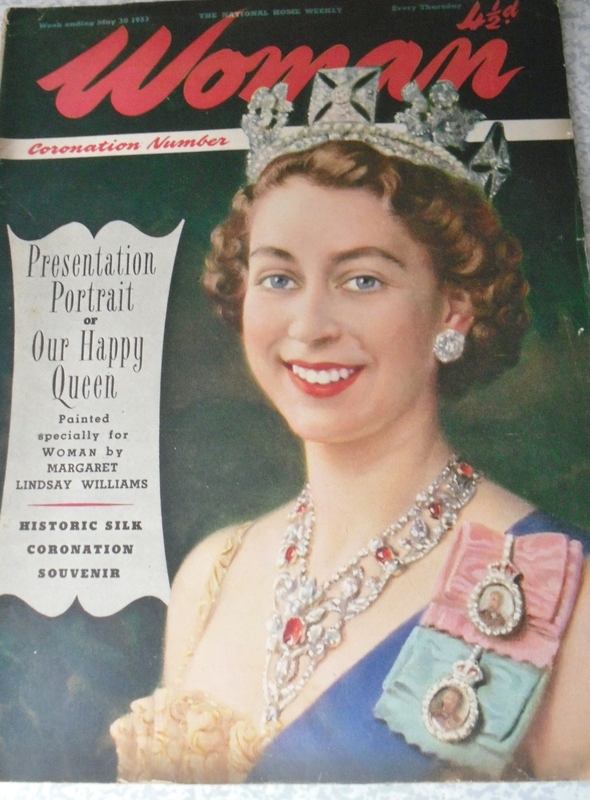 I chose the Coronation special for inspiration for any writing next year. Our Queen looks so young here. 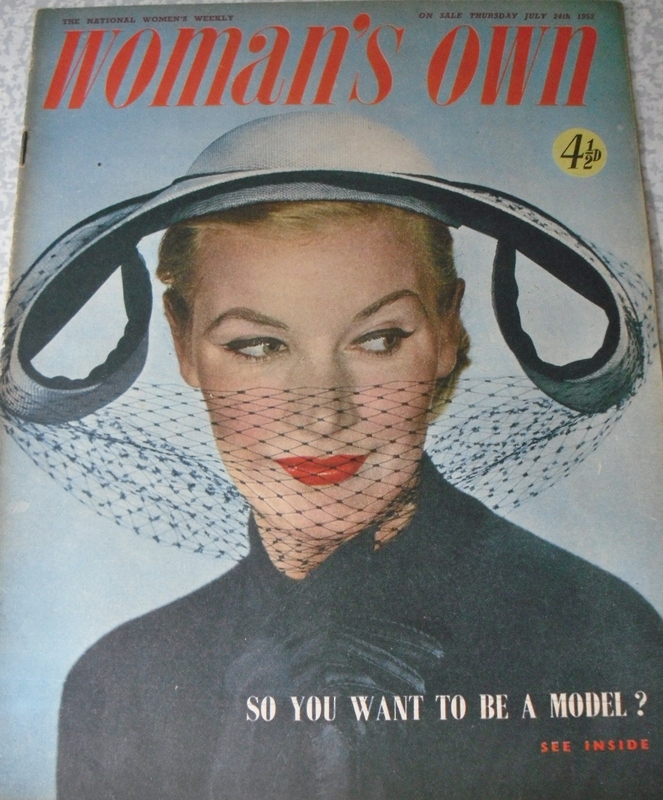 Lastly, “So you want to a model?” has an elegant lady on the front from 1952. 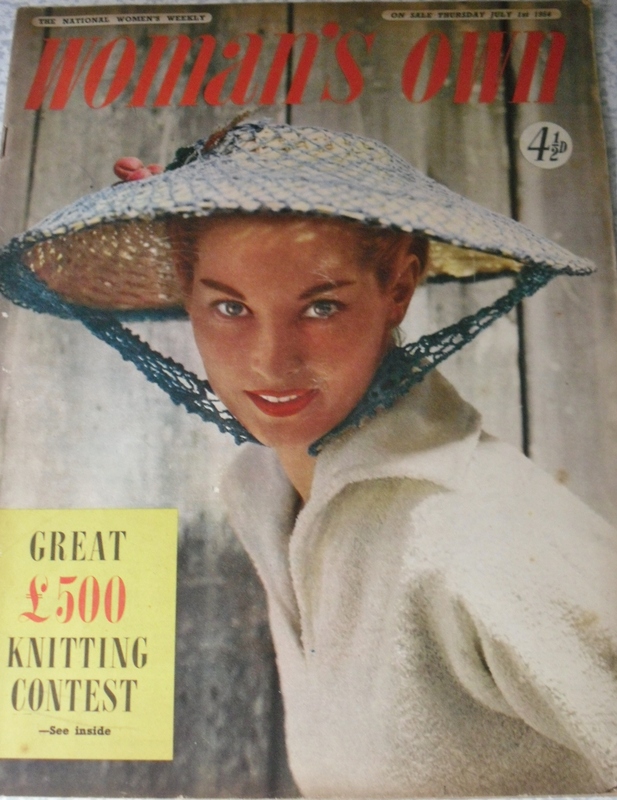 Her hat is so unusual, with curved sides and netting covering the bottom half of her beautiful face. Her black eye liner is great too…need to study this well to get mine looking better! 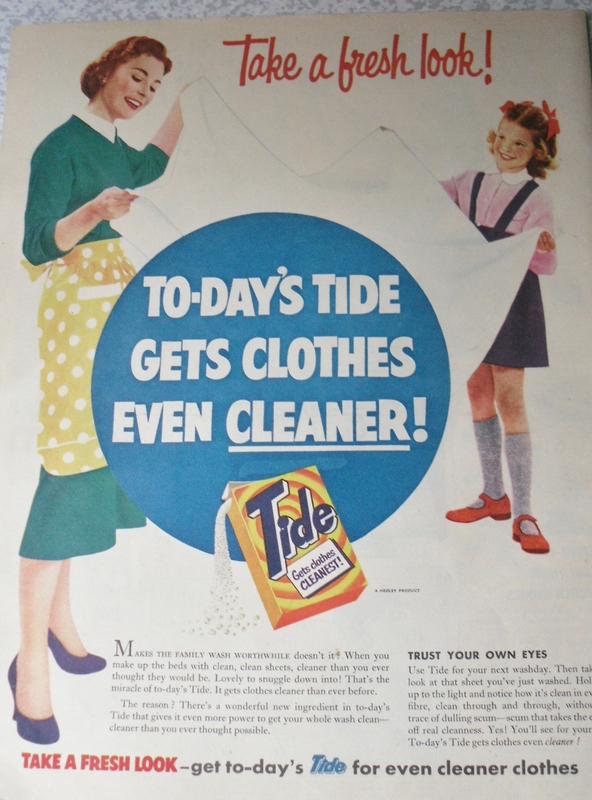 I have already chosen old soap powder adverts from the 1950s to frame and hang in the utility room. So for pictures for the wall and ideas for the magazine, I would say We’ve got it covered! Lovely article-what a find. I was brought some Bnadwagon mags from the 40’s recently and these are also relly inspring. Oh how wonderful! These magazines are so important. Not only will they provide you with lots of inspiration and ideas but it’s great to be able to put the images online so they are kept for posterity. I try to add to my own collection when I can and find them completely fascinating. They give a tantalising glimpse of what life was life was back in the day. Congrats! I look forward as always to your articles. Thanks for your comments..I havent even had a chance to read them yet. 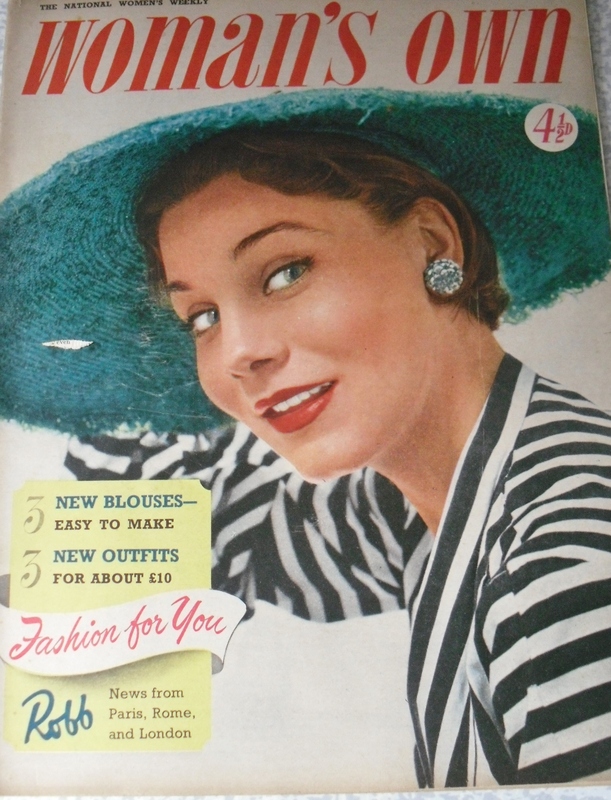 I have spied a great coloured 2 pager on playsuits from 1939 exactly whats on trend this summer (and we have a few not online yet)….OOOH I can see another blog coming on!! Hi – Really pleased you liked the magazines and hopefully are great inspiration for your magazine.